It's been a long, winding, dark road for Research In Motion, but the company on Tuesday finally made the Gold SDK for BlackBerry 10 available to download. The toolkit includes everything that's necessary for developers to create apps for the company's upcoming OS, and it's hitting with less than two months before BlackBerry 10's much anticipated launch event. 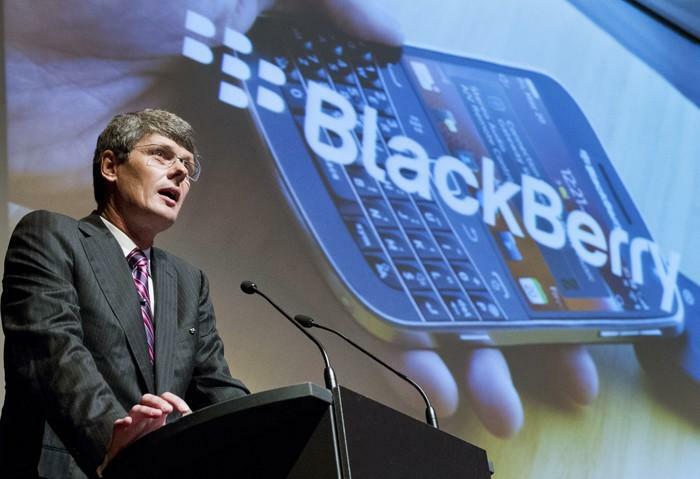 Along with the announcement, RIM reiterated that some of the industry's top developers are already on board for BlackBerry 10, and interest in the platform has allegedly grown significantly over the past few months. RIM's already teasing its first BlackBerry 10 device, presumably a member of the L-Series of new smartphones due out from the company. Are you ready for RIM's next operating system? Will it be enough to compete with Windows Phone 8, iOS 6 and Android 4.2 Jelly Bean? It's almost time to find out. WATERLOO, ONTARIO–(Marketwire – December 11, 2012) – Research In Motion (RIM) (NASDAQ: RIMM)(TSX: RIM) today released the "gold" build of the BlackBerry® 10 developer toolkit. The "gold" build includes all of the final tools, components, and APIs that will enable developers to create integrated, social and beautiful applications for BlackBerry 10, and have the confidence that their apps will delight customers at launch. – Alex Kroogman, CEO of NewspaperDirect. – Stuart Lombard, President and CEO, ecobee Inc.
– Deborah Drisdell, General Director – Accessibility and Digital Enterprises, National Film Board of Canada. – Rajneel Kumar, Vice President and Business Head- Digital Media, Viacom18 India Pvt Ltd.
"Marmalade launched a major BlackBerry 10 promotion to our developer community in September and the uptake of the offer has far exceeded our expectations – so there's clearly a huge interest in developing for the new platform. We've got thousands of developers currently working on new and engaging apps and games for the BlackBerry PlayBook and BlackBerry 10 platform using the Marmalade cross-platform SDK, and we're seeing a steady stream of content from our developer community being submitted to the BlackBerry World store. At Marmalade, we passionately believe that more platforms mean more possibilities for developers so we'll continue to encourage our community to embrace the eagerly-anticipated new platform." – Harvey Elliott, Managing Director and COO, Marmalade. – Troy Johnson, Director of OEM and New Platforms, Magmic. – Baudouin Corman, Vice President of Publishing for the Americas, Gameloft. "The BlackBerry 10 platform is a great opportunity for each developer to evolve his business. The XIMAD team is making a big bet on BlackBerry 10. We are confident it will be a large, competitive market with millions of customers and we want a big piece of that pie. It is a great honor for us to be among the first developers who have started to work with BlackBerry 10. And the most important point is that it is very easy to start working with BlackBerry 10 – this platform supports all the modern developer technologies." – Boris Gavrilov, BlackBerry Executive Manager, XIMAD Inc.